Years ago an Englishman abroad, particularly in the U.S., could often be recognised by his uneven and missing teeth.Over the years the NHS and fluoridation of water saw English teeth getting straighter and also there were more of them as good cheap state subsidised dentistry did its job. A new report. Adult Dental Health Survey, has shown that things are on the slide again in terms of British teeth. Over one in five adults said that they had missed dental check ups due to their cost. Some people are finding it hard to registered with an NHS dentist at all and with the increases in NHS costs find it difficult to pay for even a basic check up when thye do manage to get registered. NHS dental charges are about to go up again. 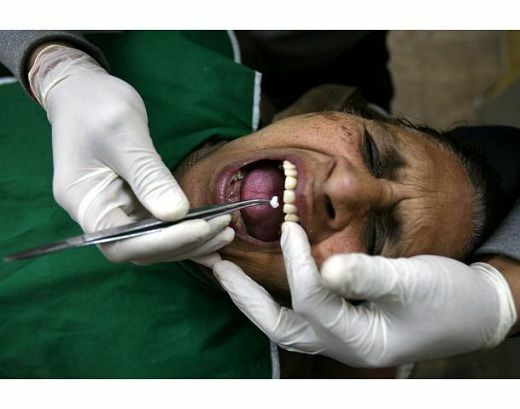 Since 2005 the cost of NHS dental check-ups have gone up from £6 to £17. Dentists report that some patients are choosing to have teeth extracted when in the past they would have had work done to repair them. Even with a government run and socialized dental care delivery system, there is NOT enough funding available for everyone. This is something that single payor health care delivery folks should remember well.